Jr NTR will undergo training for his next upcoming film RRR, which will be helmed by Rajamouli. Lloyd Stevens is going to train Jr NTR for Rajamouli’s RRR. 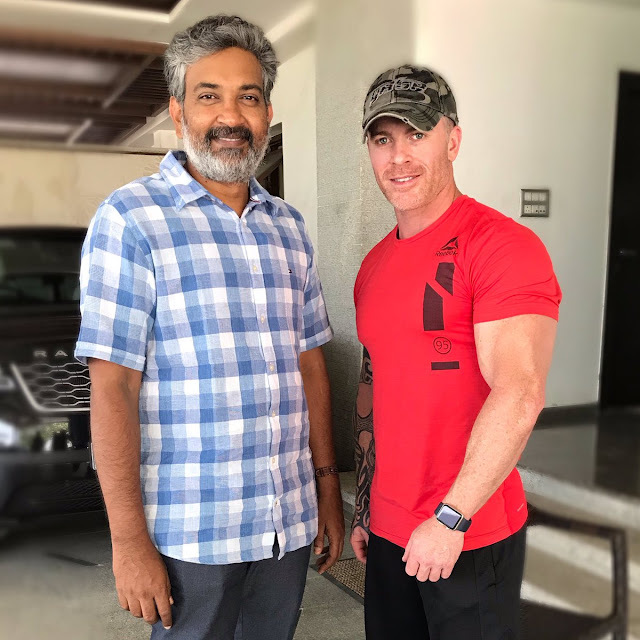 Recently Lloyd Stevens met with Rajamouli and discusses about Jr NTR’s look. Ram Charan is also on the board to work with Jr NTR for this upcoming big budget entertainer. Currently Jr NTR is basking in the glory of Aravinda Sametha Veera Raghava and Ram Charan is busy in the shoot of RC12, which is being directed by Boyapati Srinu.